When your home is decked out with a playful loft and a slippery slide to match, you know a career with children might be on the cards. There’s no denying that Lalaland owner Bridgette Vartiainen lives and breathes her job. The multi-level play centre, which opened to the public in late February, is a slight change of pace for the owner of boutique tea store, Red Sparrow Tea Company. When faced with the decision to open another tea store in Sydney or return to Coffs Harbour to launch a long-held dream, Bridgette says it was a no-brainer. Lalaland’s name was also partly serendipitous. Bridgette wanted the name of a town with alliteration – similar to Sesame Street. However, everything she thought of wasn’t quite right. In search of inspiration, Bridgette found an online business name generator only for it to suggest Lalaland. “It was just perfect, I couldn’t believe it,” she said. 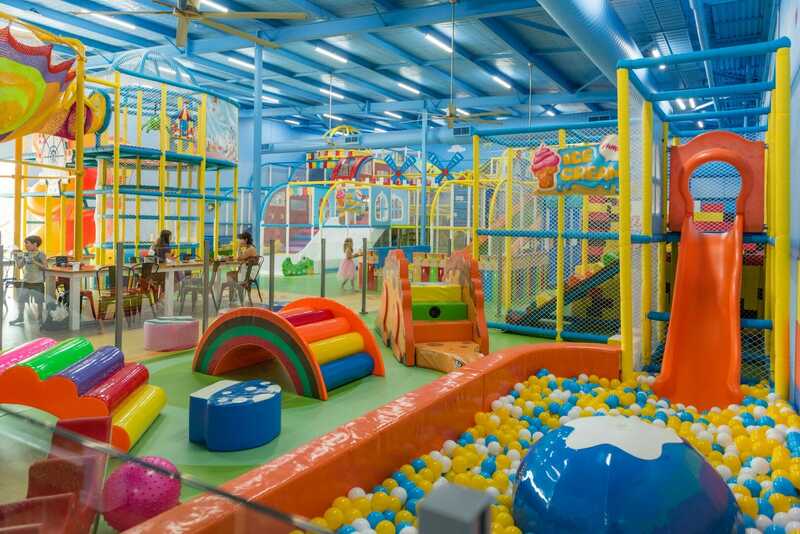 The brand new children’s (and parent) wonderland is kitted out with slides, ball pits, Lego world, a basketball court, soccer field, and much more. The centre also offers children’s parties, which Bridgette believes is an untapped market in the Coffs Harbour area. “The attention to detail in both party rooms is amazing. There’s a beautiful princess room and a fun pirate room.” It’s no wonder kids want their birthday parties there. With two kids aged 12 and 14, Bridgette is passionate about getting all the family involved in the business.